Schrade self-defense keychain rods made from a super light polymer that adds no noticeable weight to your keychain. 5/8″ diameter. From Schrade Knives. We used to offer a better variety of bali-Song trainers, but some of them became unavailable. We now have this new series from China that is a pretty good quality at a very good price. When you’re trying to perfect your style, these work great. They’re not sharp and so you won’t hurt yourself and, when you get good enough, just break out the real one. The blade is skelotenized for realistic weight and balance to give you the edge in a training scenario. The handles have a bit more grip than the standard training knife for added purchase during a training session where the perspiration may play into the exercises. 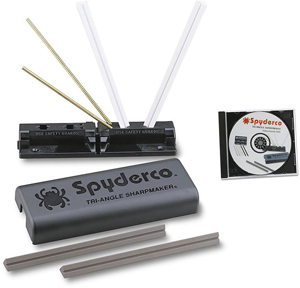 The blade comes in at about one-half inch shorter than a live blade and with the blunted end and edges, it makes training a safer activity than just taping the blades or grinding down the edge and tip. An overall great training tool! Canal Street Cutlery does a great job of hand building knives top quality in the USA. We’re thrilled to offer these beautiful items and our customers are always impressed with the quality and beauty of Canal Street Cutlery products. Benchmade Knives produce the Harley Davidson knives and they have shipped this really cool model. 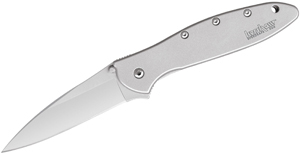 The Venom is a full size every-day-carry type of pocketknife with great features. The G-10 handle is tooled and shaped for a comfortable grip. The pocket clip is configured for deep pocket carry. The opening action on this knife is very fast and solid. The liner lock is also solid and easy to use. The blade is a full flat grind. The name is Harley-Davidson– and it is entirely made in the USA! Spyderco Knives has offered the UK Pen knife series for some time now. They don’t lock open so they conform to the knife laws in the UK (hence the name). They have all the other goodies, though, with S30V top quality steel blades and now, with titanium handles giving these a real solid feel. The blade has a full, flat grind and the wire pocket clip is the style preferred by many users. Spyderco Knives even makes them in the USA! A Harley-Davidson knife as cool as the bikes whose name it bears. 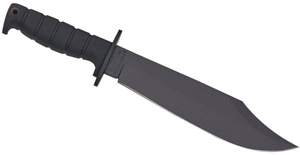 The T-Rod is a two position dagger with a false top edge. It can be locked into a t-dagger or fixed blade position—and it can be carried in the open-top sheath in either position. The knife is built in the USA, just like your Hog. And if you can’t afford a Harley just yet… you can always start with the knife!